My mom is a smart lady. She was a single, working mother raising two kids. As a way of helping her daughters learn their way around a kitchen, and in the meantime, lighten her load a little...we were responsible for cooking once a week. (Or else no allowance!) This meant meal planning (protein, veggie, starch) and making the dinner aesthetically pleasing (i.e. a plate of chicken, white rice, and cauliflower wasn't going to cut it). 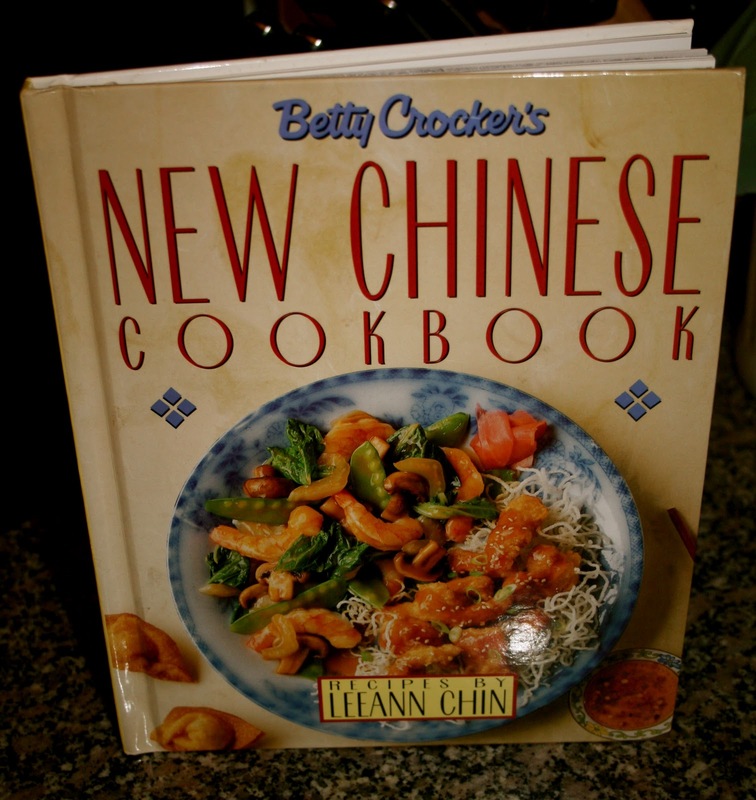 This cookbook became my go-to place for finding a relatively simple and tasty meal for the fam. I liked it so much that when I graduated high school, my mom bought me my very own copy, which I still use to this day. I have some favorites (lemon chicken, kung pao shrimp) which are regulars in my rotation....and others, I'm still discovering on nights when I'm trying to figure out something quick and easy with what I have on hand. I recently had one of those nights. I ended up getting off work earlier than scheduled but still late by cooking dinner standards. (7:30pm) Since I wasn't expecting to be home for dinner, I had nothing planned. So as I was leaving work, I did a mental inventory of my fridge. I knew I had some cabbage I needed to use up, some green onions, ginger, and garlic (I always have garlic). I decided it was a perfect night for a stir-fry. I swung by Mollie Stone's on the way home and quickly grabbed a few shitake mushrooms and some flank steak and I was suddenly in business. The butcher at Mollie Stone's was kind enough to slice the flank steak for me so this made the recipe go even faster. Toss the beef with a little cornstarch, chopped gingerroot, oil (I used peanut oil), soy sauce (or Tamari for gluten free), salt, and white pepper. Cover and refrigerate while you prep the other ingredients. The original recipe called for celery cabbage (aka napa cabbage), but I had green cabbage...so that's what I used and I loved the crunch and texture it gave to the dish. The original recipe also called for dried black mushrooms, but I opted for fresh shitake mushrooms. Also mix together some broth and cornstarch. This is the Chinese style for thickening sauces. Heat the wok until very hot...add some oil and then add the steak with some soy sauce (or Tamari) and cook until just brown and remove from wok. It's ok if it's a little pink because you'll return it to the wok later. Definitely take care not to overcook the steak! Heat wok again. Add a little more oil and stir fry the cabbage, garlic, mushrooms, and a little salt. I also decided to add some of this chili garlic sauce because I like stuff spicy! Push the veggies up the side and stir the cornstarch mixture into the sauce (just enough to thicken). Add beef and green onions and cook another minute. Serve immediately over white rice. This works as a full meal on it's own, but would also be great alongside some egg drop soup and potstickers. Trim fat from steak, cut with grain into 2-inch strips. Cut strips across grain into 1/8-inch slices. Toss beef, 2 teaspoons cornstarch, gingerroot, 1 teaspoon peanut oil, 1/2 teaspoon salt, 1 tsp soy sauce (or Tamari), and white pepper in medium bowl. Cover and refrigerate 30 minutes. Chop mushrooms into 1/2-inch pieces, chop cabbage into 3/4-inch slices, and cut green onions diagonally into 1-inch pieces. Mix the one tablespoon cornstarch and broth or water in a small prep bowl. Heat wok until very hot. Add a couple tablespoons peanut oil, tilt wok to coat side. Add beef; stir-fry 2 minutes or until beef is just brown. Stir in remaining soy sauce. Remove from wok. Heat wok until very hot. Add another 2 tablespoons oil, tilt to coat side. Add cabbage, garlic, mushrooms, and a pinch of salt; stir-fry 2 minutes. Stir in cornstarch mixture; cook and stir 15 seconds until thickened. Add beef and green onions; cook and stir another minute. Serve immediately over white rice. Wow when am I coming over for dinner? :) Looks great! Nice job on the stir fry action. I like the blog. Hope you stutter on every letter. This is a very interesting to cook recipe! I will definitely try this later for my dinner. And I will also share this to all my friends. Anyway, do you have recipe for stir fry sauce? This looks very interesting to try! 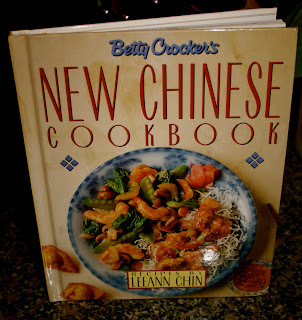 I'm sure my wife would be happy to see this blog because stir fry is one of her favorite food! I will create this one for her. Thanks for sharing!